What sparked your family’s interest in the healing powers of seaweed? Well we’ve been surround by it all our lives, it’s an important part of our local culture, it was used for food primarily, as fertiliser, as a pigment for clothes and, of course, for his it’s health and wellbeing properties. You must feel very proud re-opening the Strandhill Seaweed Baths at Sligo after 100 years – did you ever envisage this when you started harvesting seaweed all those years ago? To be honest no, we inherited a business and more importantly a tradition. What we feel very proud about is that we are maintaining it, in a world that is so fast paced. I think we lose small pieces of our history and heritage daily. We take great pride that we have introduced this tradition to people all around the world. Why is bathing in seaweed so good for the body? My brother, Neil Walton, who was a professional triathlete, discovered the benefits of alginate gels. Alginate gels that export from the seaweed and the heat of the water causes osmosis where by the goodness of the seaweed alginate is absorbed by your body and the over acidic quality of your body is expelled. This therapy for all athletes and himself had a significant result for them post training or after an event. It was also great for different types of ailments stress being one of them. This seaweed bath therapy also has a beneficial effect on forms of arthritis, eczema, psoriasis, and cradle cap on children. 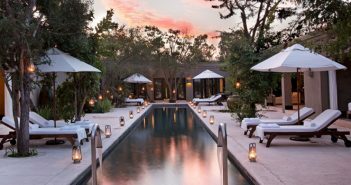 Where does the name VOYA come from? We asked our customers what does a seaweed bath mean to them? A seaweed bath treatment was their personal voyage. We liked it so much and adopted the name and shortened it to VOYA. Where do you harvest the seaweed and can you explain the exact process of how you hand-harvest the seaweed? All our seaweeds are harvested by my family and will continue to do so. All of our products contain seaweed. All of our seaweeds are harvested by hand and treated within two hours. 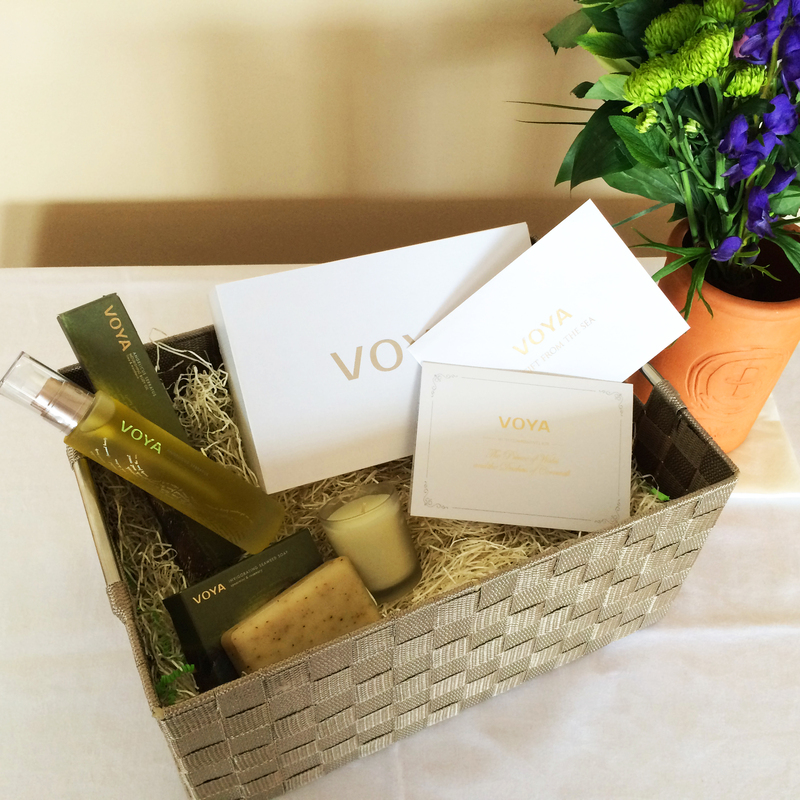 VOYA is the world’s first harvester/producer of certified organic cosmetic seaweed. We have an exclusive marine harvesting license granted by the Irish government. Only two licenses have ever been granted by the State. Our licenses are in SAC’s (Special Areas of Conservation) that have been identified at an EU level as areas of unsurpassed natural beauty where heavy industry cannot operate. VOYA sustainably harvest the seaweed in order to ensure the seaweed re-grows and that we don’t damage the marine eco-system we only harvest the top third of the plant. 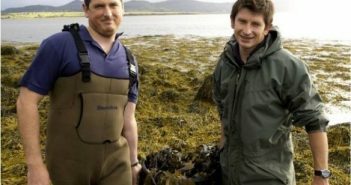 Why is the West Coast of Ireland a prime location for seaweed? Well firstly we are based in Sligo and that is where VOYA and the original Seaweed bath house are situated. Ireland is the least densely populated country in Europe and the west coast is the least densely populated part. There is no heavy industry on this coast which means it is probably the most unpolluted waters in the Atlantic. There are nearly 800 species of seaweed. One reason for this diversity is that Ireland is located between 51 and 55 degrees north, occupying a range of latitudes that straddle both the northern limit for some warm-water species and the southern limit for some cold-water species. Do you have any celebrity clients who are happy to endorse VOYA? Katie Tunstall had a fab time experiencing our therapies and even sang on stage about it. Where are the VOYA products made and why do you think there has been resurgence in the popularity of more organic-based products? What is interesting is how organic products are now challenging conventional synthetic products on their functionality. It was easy to dismiss organic products as being nice but they don’t work. Modern green chemistry means we don’t have to sacrifice results for ethics. Please can you explain how a product is deemed truly organic? Did you know there are currently no laws to guarantee that health and beauty care products labelled as organic are indeed organic? EU organic regulations only cover farming and food production. That’s why we have sought or are seeking organic certification for all of our products. This means when you buy our health or beauty products or have a VOYA therapy, you can be sure that it has been independently verified as organic. The Duke and Duchess of Cornwall was presented with a hamper of VOYA products during an emotional visit to the picturesque village of Mullaghmore Co. Sligo. Prince Charles met with Neil Walton from VOYA’s sister company VOYA Seaweed Baths and they spoke in length about the company’s heritage. 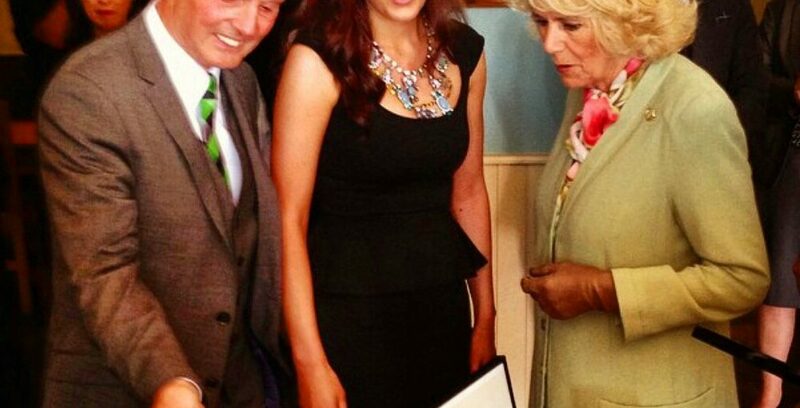 The Duchess commented on how she adored the unique zesty smell of the Invigorating Seaweed Soap and spoke of how beautiful the texture of the Angelicus Serratus body oil felt on her skin.